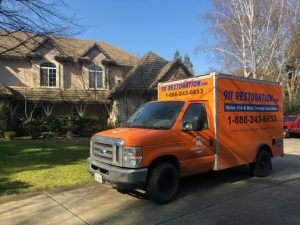 Water damage restoration is a job that returns property to normal after floods, and 911 Restoration Milwaukee, should be your first choice because he will always put the customer first. Our experts recognize how taxing these times can be and that is why we will even help with the insurance paperwork too. The dangers of floods run deep, but our water damage restoration Milwaukee team is able to take care of the building no matter the challenge. Whether rain leaks cause mold in the attic or plumbing problems result in a basement toilet overflow, 911 Restoration uses the latest drying technology to remedy the situation. As soon as you realize water is creeping into your home, call our water damage restoration Milwaukee crew for same day service water extractions. Don’t let your lovely home be destroyed by a liquid invasion of any kind. Contact our water damage restoration Milwaukee team with 911 Restoration Milwaukee and let our experts handle all of your concerns today! Milwaukee is one of those Midwest cities that takes the beautiful sunshine with a healthy dose of rain and snow. Each element provides its own layer of fun and danger. A roof under constant sunshine expands, so that when rain clouds move in, leaks form. Keeping your pipes clear of obstructions can prevent many cases of pipe burst situations, and all it takes is not placing anything into the system that it was not designed to handle. Make sure to clean out your gutters and downspouts every year to ensure that there are not clogs which may form obstructions and eventually lead to overflows and ice dams which can ruin a roof in only a single season. Never let the discharge from your downspouts point towards your foundation as this may lead to liquefaction. Check you sump pumps at least once a year to make sure that they are working perfectly and not in danger of failing when you need them the most. This will help to prevent many instances of water damage when your ground becomes saturated. Luckily, our water damage restoration Milwaukee operatives are available 24/7/365 to provide these water damage restoration services, so give our experts with 911 Restoration Milwaukee a call today! One of the most common results of the types of weather we get here in Milwaukee is flooded basements. One man called our water damage restoration Milwaukee staff after rain seeped through a crack in his basement foundation. He recently bought the house and the inspector said the damage would not be a problem. During the first storm, precipitation made its way through the crack. While it was headed to the basement drain, as is appropriate, there was a steady stream of water and its width was quickly expanding into carpeted parts of the basement. The man was running out of towels to stop the stream when he contacted our water damage specialists at 911 Restoration Milwaukee. He understood the situation immediately and had a team in place before the carpets saturated. We pumped out all the water, found the crack, and secured it against future storms. Though the damage was not extensive, the customer was extremely happy he would not have to deal with this situation in the future. In a separate incident, a woman called about her basement flooding. Her basement doubled as an office, complete with carpet. The carpet was lost in the event, but we were able to work with her insurance company to replace it with something better. In fact, the entire place was restored without a cent from the customer. Filing cabinets and bookshelves rotted as water flooded the area; even this expensive furniture was replaced. She had never experienced water damage before, so she was unaware of how much damage could accrue by delaying her call a day. With years of experience, our water damage restoration Milwaukee experts knew better. They started pumping water out immediately. We are licensed, insured, and bonded to save your property, so our water damage restoration Milwaukee experts with 911 Restoration Milwaukee for a fresh start today!